Russia: The Great Bear and Its Dramatic History! 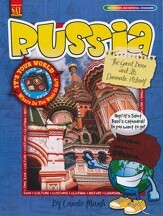 Kids will enjoy learning about Russia, including what language is spoken, what foods are enjoyed, the history of the country, Russian culture, and more. Fun activities include writing activities, completing puzzles and questions based on informative lesson passages, hands-on ideas, and more. Perfect for integrating world geography into social studies curriculum! 32 reproducible pages, softcover; answer key included. Aligned to Common Core standards. Recommended for Grades 3-6. France: The Ooh-lala Country Everyone Loves! 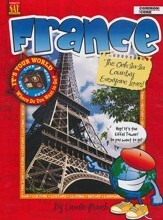 Kids will enjoy learning about France, including what language is spoken, what foods are enjoyed, the history of the country, French culture, and more. Fun activities include writing activities, completing puzzles and questions based on informative lesson passages, hands-on ideas, and more. 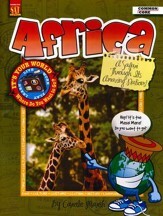 Perfect for integrating world geography into social studies curriculum! 32 reproducible pages, softcover; answer key included. Aligned to Common Core standards. Recommended for Grades 3-6. United Kingdom: The Country of Ships, Sealing Wax, Cabbages and Kings! Kids will enjoy learning about the United Kingdom, including what language is spoken, what foods are enjoyed, the history of the country, English culture, and more. Fun activities include writing activities, completing puzzles and questions based on informative lesson passages, hands-on ideas, and more. Perfect for integrating world geography into social studies curriculum! 32 reproducible pages, softcover; answer key included. Aligned to Common Core standards. Recommended for Grades 3-6. 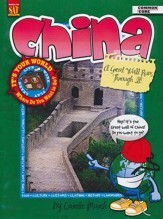 China: A Great Wall Runs Thru It! Kids will enjoy learning about China, including what language is spoken, what foods are enjoyed, the history of the country, Chinese culture, and more. Fun activities include writing activities, completing puzzles and questions based on informative lesson passages, hands-on ideas, and more. Perfect for integrating world geography into social studies curriculum! 32 reproducible pages, softcover; answer key included. Aligned to Common Core standards. Recommended for Grades 3-6. 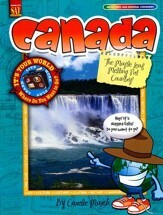 Canada: The Maple Leaf Melting Pot Country! Kids will enjoy learning about Canada, including what language is spoken, what foods are enjoyed, the history of the country, Canadian culture, and more. Fun activities include writing activities, completing puzzles and questions based on informative lesson passages, hands-on ideas, and more. 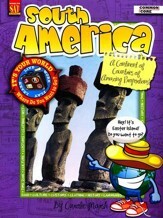 Perfect for integrating world geography into social studies curriculum! 32 reproducible pages, softcover; answer key included. Aligned to Common Core standards. Recommended for Grades 3-6. Italy: The Country of Amazing Fountains and Awesome Arts! 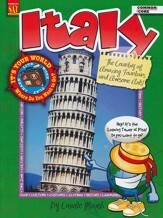 Kids will enjoy learning about Italy, including what language is spoken, what foods are enjoyed, the history of the country, Italian culture, and more. Fun activities include writing activities, completing puzzles and questions based on informative lesson passages, hands-on ideas, and more. Perfect for integrating world geography into social studies curriculum! 32 reproducible pages, softcover; answer key included. Aligned to Common Core standards. Recommended for Grades 3-6. Japan: An Island Country of Endless Intrigue! 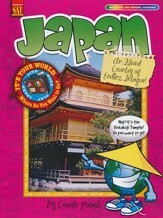 Kids will enjoy learning about Japan, including what language is spoken, what foods are enjoyed, the history of the country, Japanese culture, and more. Fun activities include writing activities, completing puzzles and questions based on informative lesson passages, hands-on ideas, and more. Perfect for integrating world geography into social studies curriculum! 32 reproducible pages, softcover; answer key included. Aligned to Common Core standards. Recommended for Grades 3-6. Mexico: A Colorful Land of Exotic Culture! 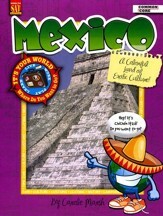 Kids will enjoy learning about Mexico, including what language is spoken, what foods are enjoyed, the history of the country, Mexican culture, and more. Fun activities include writing activities, completing puzzles and questions based on informative lesson passages, hands-on ideas, and more. Perfect for integrating world geography into social studies curriculum! 32 reproducible pages, softcover; answer key included. Aligned to Common Core standards. Recommended for Grades 3-6. South America: A Continent of Countries of Amazing Proportions! Kids will enjoy learning about South America, including what languages are spoken, what foods are enjoyed, the history of the continent, the culture of various countries, and more. Fun activities include writing activities, completing puzzles and questions based on informative lesson passages, hands-on ideas, and more. Perfect for integrating world geography into social studies curriculum! 32 reproducible pages, softcover; answer key included. Aligned to Common Core standards. Recommended for Grades 3-6.